Capt. 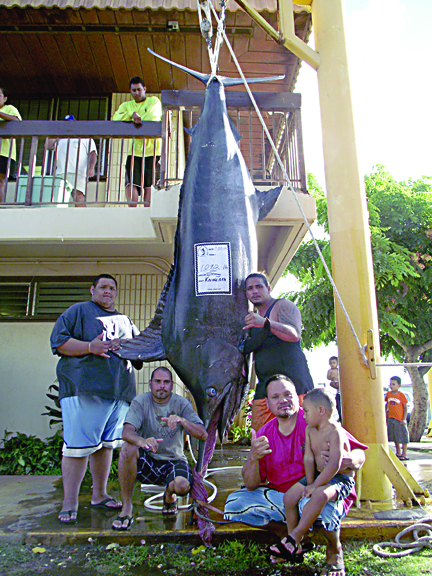 Stacy Jacobe and his crew, Kelly Texiera, Elijah Wahinekona and Denver Gonsalves, hooked their 1092-lb marlin outside Waianae, Oahu. They battled the fish to the KAIKALAKA but experienced a problem when the marlin became stuck under the boat. Not willing to lose the behemoth, Denver jumped in the ocean and gaffed the fish.